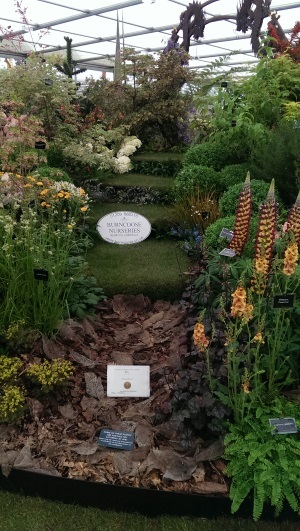 After months of planning, designing, and growing, all of the hard work paid off this morning when we received the news that we have been awarded a well-deserved Gold Medal for our ‘Endangered in the Wild Garden’ at the RHS Chelsea Flower Show. Designed by Louisa Lazarowicz and Geraldine Hammond, The Burncoose Nurseries garden, which is once again supported by Terra Firma Capital Partners, is intended to increase public awareness of the little known fact that many of the plants which are grown in gardens throughout the UK are actually threatened with extinction in their native habitats in the wild. The message running throughout the garden is that everyone should be encouraged to do more to counter the threats of climate change and deforestation by growing these threatened wild species more widely at home. Commenting on the garden, Charles Williams of Burncoose Nurseries said, “We stock nearly 4,000 varieties of plants and we are aware that some are extremely rare in cultivation. In developing the theme for our garden this year, we thought it would be an interesting exercise to find out how many of these plants are actually endangered in the wild. Some of the answers have proved to be quite a surprise, with many plants we might consider to be readily available among those threatened. Guy Hands, Chairman and Chief Investment Officer of Terra Firma Capital Partners said, “We are very proud to once again sponsor the garden and to be able to highlight our support of the Prince’s Trust and the outstanding work they carry out. I’m delighted for the Burncoose team. 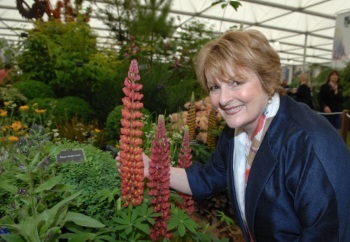 Winning anything at RHS Chelsea Flower Show is a challenge so being awarded Gold is a great achievement. “This year’s theme is an incredibly important one. A diversity of plant life is essential for the survival of mankind and the Burncoose garden does a fantastic job of helping to raise awareness of those plants which are under threat of extinction. Some plant species have already vanished from the wild and exist only in botanical collections, while others continue to survive only because of the work of specialist nurseries, such as Burncoose.